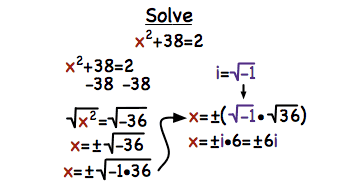 How Do You Use the Square Root Method to Solve a Quadratic Equation with Imaginary Solutions? There are many ways to solve a quadratic equation. One of these ways is by using the square root method. Watch this tutorial to see how the square root method is used to solve a quadratic equation and find imaginary solutions!